woah oregano! or, 16 things to do with too many herbs | i made it so. ← recipe: whole wheat pancakes that actually taste good. so i have a lot of herbs from my garden right now. 1. wash and tie them up in bunches, hang to dry. 2. share them with neighbours and friends. 3. same as above, but add a recipe using that herb as an ingredient. nice gift for a host or hostess or anyone who likes cooking with fresh ingredients. 4. transplant some to a small pot and share with someone who doesn’t have a yard, but who might love fresh herbs on their windowsill. 5. make a fresh pizza, adding whole oregano leaves on top, onions, garlic, sun-dried tomatoes and a sprinkling of feta. update! july 20, 2010: you can use the flowers too! like this. 7. add them to a marinade for the summer bbq’s. 8. add some to a summer salad. 9. chop some up, add to olive oil and vinegar for a quick salad dressing. 10. chop some herbs, add a bit of oil and brush the herb mixture onto the top of the loaf before baking. or mix it into the dough. 11. if you don’t make bread, get a breadmaker and make a herb loaf! they are so good! plus one slice havarti cheese. pop it in the oven, open faced til the cheese melts. take it out, place the other slice of bread on top and enjoy! then come back here and visit me again. we’ll forget i ever mentioned the whole bread-making thing, k? 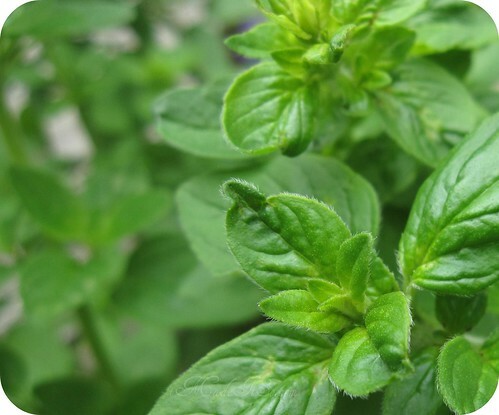 14. freeze herbs, especially those with a higher water content (basil, for example, which takes a longer time to air dry and can sometimes get moldy before drying). wash and remove from stems, placing leaves spread out on a cookie tray. freeze on tray, then transfer them to an airtight container for use throughout the year. freezing them individually rather than bunches helps keep them from sticking together. 15. make a puree and freeze: add herbs to a food processor and add water until it resembles a paste in consistency. pour into ice cube tray and freeze. pop out frozen cubes and place in air-tight container in freezer. use the frozen cubes of herbs in stews and sauces. 16. eat them fresh, as soon as possible. 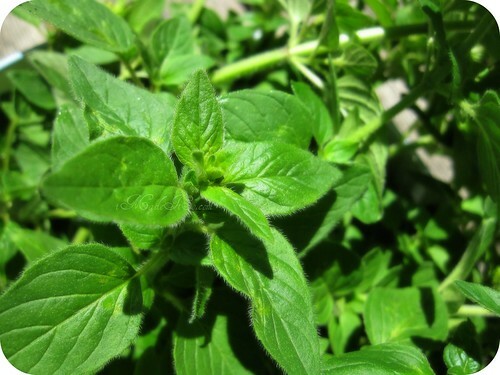 if you have little ones (children, not herbs), you may be amazed at how much they will eat “green stuff” if you let them pick the herbs themselves. update: more ideas from all of you! 17. make a basil pesto. you can freeze extra portions. there are lots of recipes online. 19. Make Tart Basil Jelly with variations using cilantro and mint. 20. 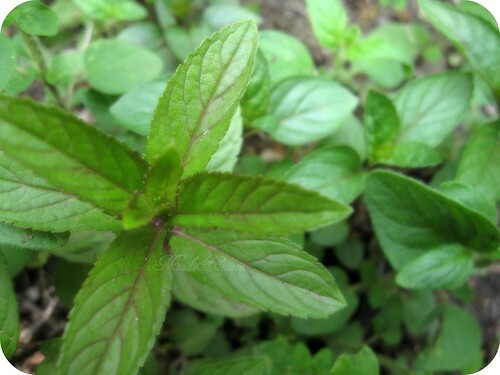 Use up some mint in mojitos! 22. make herbal butter by adding fresh herbs, salt and pepper to butter. 23. make herb infused oils. Good for sautes and salads. 24. let the herbs go to seed in your garden. 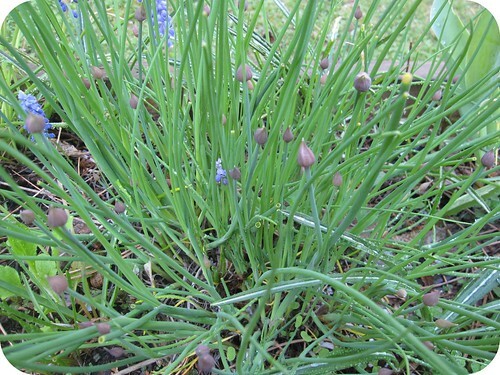 save and replant, or share those seeds for the next season. 25. freeze herbs in ice cubes and serve with drinks for something a little different. 26. got another idea? share it in the comments section below and i’ll add them here. shannan, laura, jenny, denise, patty and halima. i shared this post with jami and her readers at an oregon cottage. thanks again jami! This entry was posted in green thumb, ideas & inspiration, in the kitchen and tagged drying herbs, freezing herbs, garden, herbs, recipes, too many herbs. Bookmark the permalink. Those pictures looks so amazing. I love those tips. I really gonna try some of them. ana–love your herbs, love your ikea pillows, love your blog, love you! thanks so much for visiting me, because you led me here, and i’m so happy to have found you! One of my ideas was to send half my patch of oregano up to Ana in Canada but I guess she probably doesn’t want it. On to plan B! Great tips. I am bookmarking for when I am overloaded with herbs. Great ideas! I’ve got the same problem (if you can call it a problem). Thanks for sharing! Beautiful pictures and great ideas for the herbs! I don’t know that I have really heard of freezing herbs before, but if it works I think it is a great idea. I’d be interested to know a little more detail as to how you go about doing that. Thanks for posting, I found your link of TGP. You are funny! I found you through TGP and I love some of your ideas. I have a big herb garden and half the time I’m just letting it go to seed because I love fresh herbs, but don’t know what to do with it half the time. And your little bundles with tags? Very cute. hahahahaha I love this post-it’s great! I make HUGE batches of pesto and freeze in 1 cup portions to use in winter. I also found a recipe for Tart Basil Jelly that has variations for using cilantro and mint. 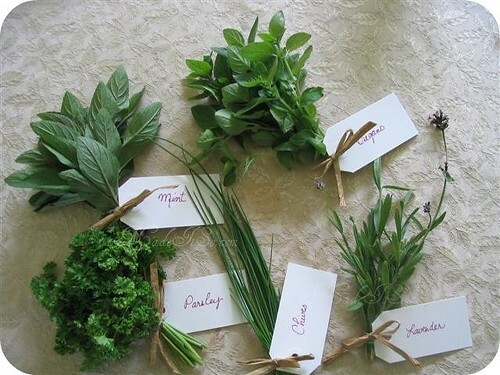 Great ideas for using fresh herbs. 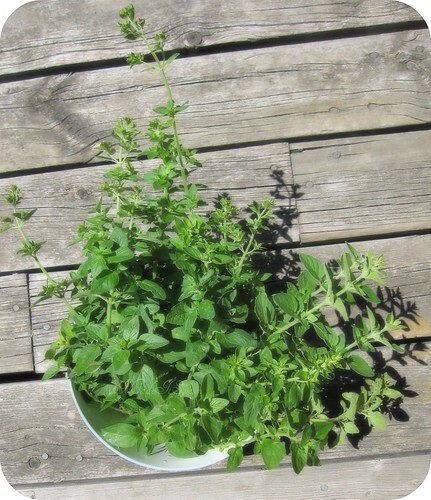 fresh herbs make such a difference…I use them as much I can, especially at school..I took over the broken down greenhouse at the school and I am hoping to get it back into shape so I can grow my own! pesto! how could i forget about pesto! actually, i have a recipe for a pesto that uses parsley…i should share sometime. basil usually hogs the pesto spotlight. I enjoy growing herbs too! This is a lovely post on many levels! I love number #13. That totally made me smile. Your herbs look delicious. It makes me miss my garden. Great post, I will have to try making a herb loaf. Really sounds yummy! I like to chop up fresh herbs and add them to butter with a little salt and pepper to make herb butter. This freezes well. Herb infused oils are also nice especially for sauteing and salads. thanks everyone! great ideas. keep them coming. i’ll be adding your suggestions to the list, soon. I love this Ana! Great and useful ideas for herbs- I’m definitely going to try freezing the leaves. I hadn’t heard of this before, but sounds like something I’d like! Thanks for sharing at the Tuesday Garden Party! Pingback: how i made a doormat with those straw trivets | i made it so. Pingback: oregano blossoms on my pizza | i made it so. Pingback: drying oregano blossoms | i made it so. I tie a big bunch of freshly cut rosemary to the end of my shower head. When my hot shower water runs through it, the scent of rosemary is released and so is any stress I might have. Showering daily, one bouquet lasts about a week…Oh, and it scents the home so beautifully! A great relaxant before retiring. 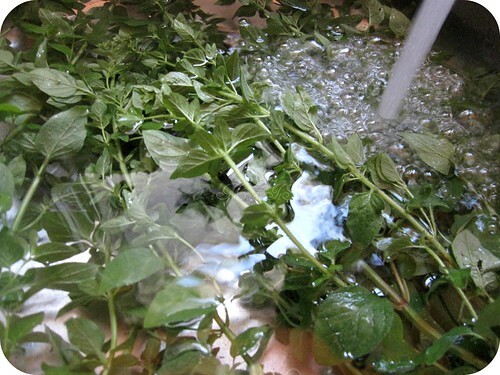 I wash fresh spearmint leaves and place them in snack sized zip lock bags with a little extra water and freeze. In the winter I pop a drop them in the pot when I brew hot tea. Guaranteed you’ll have MUCH better flavor than dried. Make an herb salt. I just read about a rosemary salt. Grind coarse kosher salt with fresh rosemary. Put in air tight containers…give as gifts..keep some in your pantry. Wondering what other herbs would be good to make a salt out of. oh and make a chimichurri sauce..Most recipes call for parsley…but i throw a little of all my green stuff in it…even more yummy! Just process olive oil, garlic and herbs….then drizzle over freshly grilled steaks, chicken, shrimp! 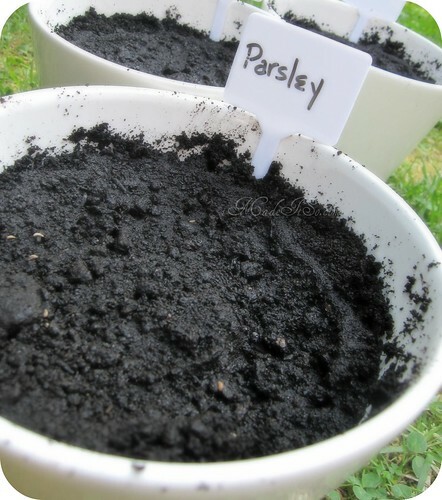 Pingback: mini garden v.2.0 – how’s it doing? | i made it so. Use fresh or dried herbs in potato salad or on roasted potatoes or in an omelette. I use oregano, basil, and rosemary. Also good in a dip.